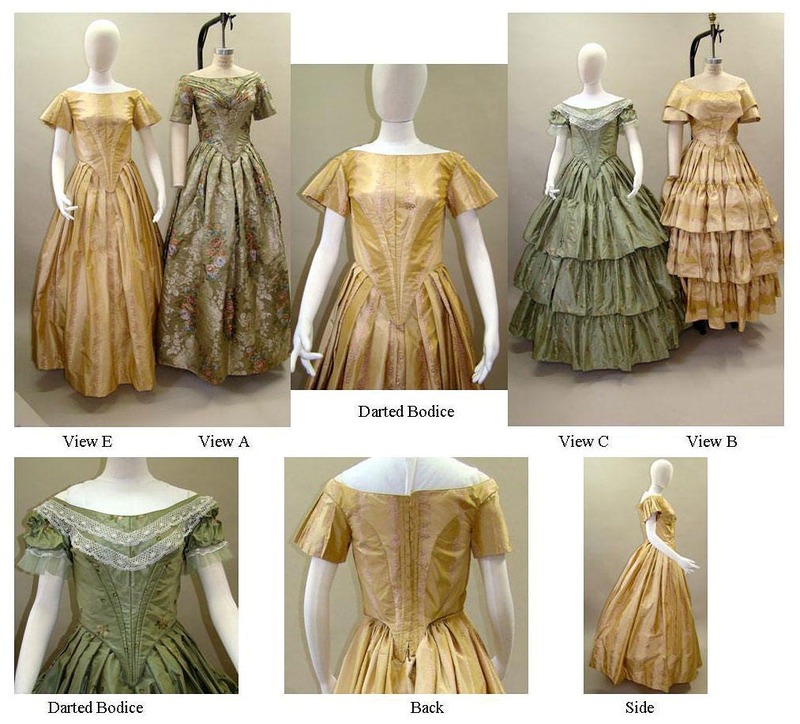 1840—1863 Ball Gown with 2 bodice variations and 5 sleeve variations. This dress has a dropped shoulder typical of the time period. It comes with both a princess seamed bodice and a darted bodice. The neckline is a wide-boat and there are lower-cut options as well. View A is an 1840’s ball gown with plain, straight sleeves and an applied bertha. 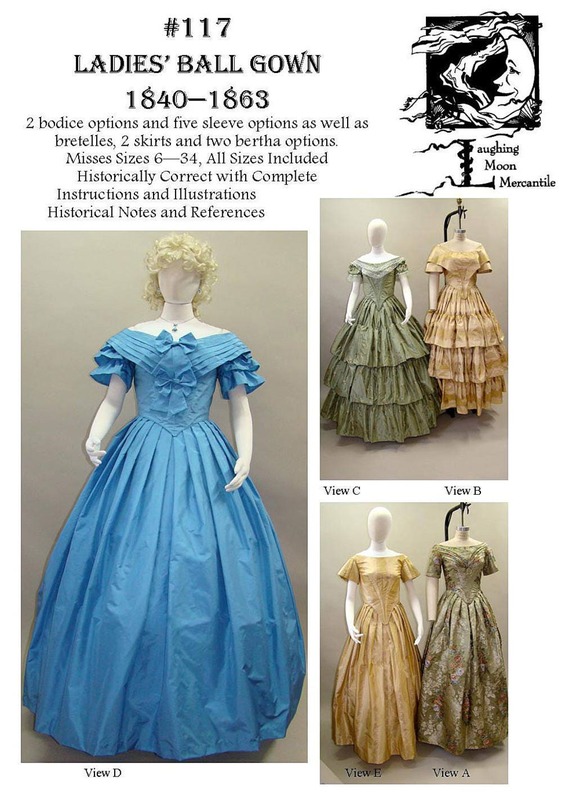 View B has a flared sleeves and bretelles and is great for the 1850’s. View C has a double puffed sleeve, which can also be made as a normal puffed sleeve, and a flounced, tiered skirt. 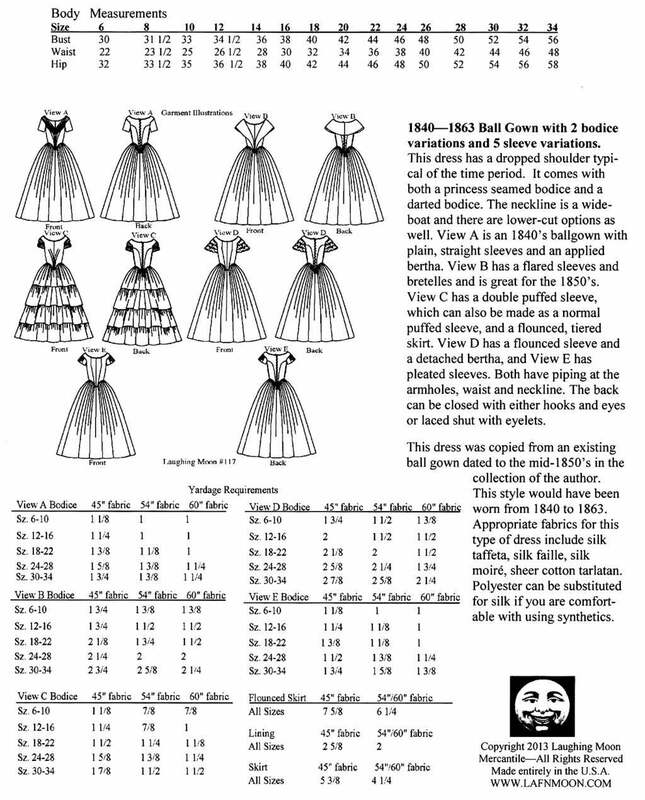 View D has a flounced sleeve and a detached bertha, and View E has pleated sleeves. Both have piping at the armholes, waist and neckline. The back can be closed with either hooks and eyes or laced shut with eyelets. This dress was copied from an existing ball gown dated to the mid-1850’s in the collection of the author. This style would have been worn from 1840 to 1863. 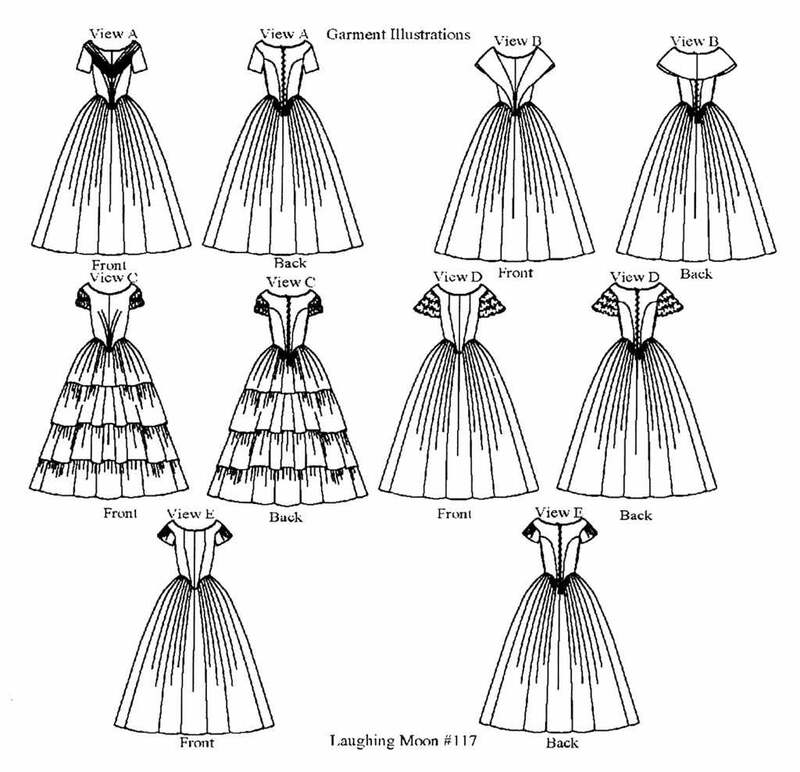 Appropriate fabrics for this type of dress include silk taffeta, silk faille, silk moiré, sheer cotton tarlatan. Polyester can be substituted for silk if you are comfortable with using synthetics.